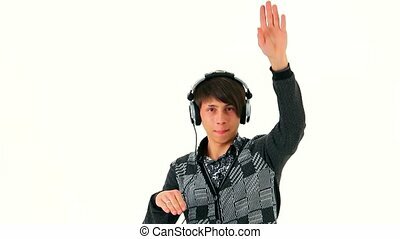 Portrait of a young guy in headphones listening to upbeat music and moving with music waving hands. 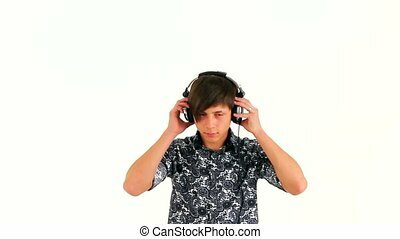 Studio shot isolated on white background. 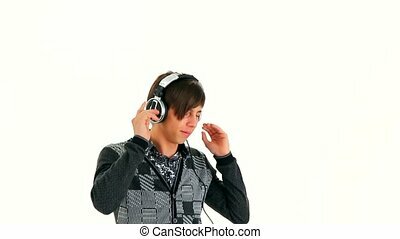 Sweet little girl listening to music and dancing in modern style living room in the evening. 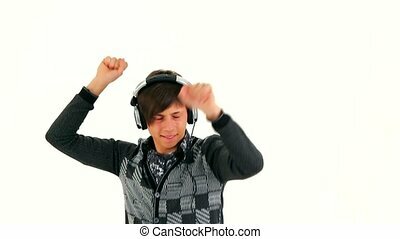 Excited teen girl relaxing at home, listening tracks with headphones, jumping and making dance moves. 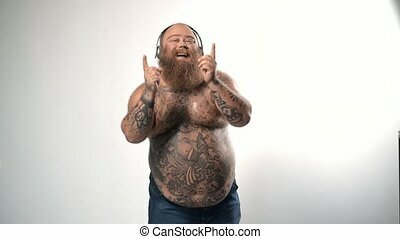 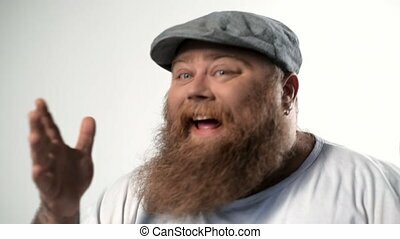 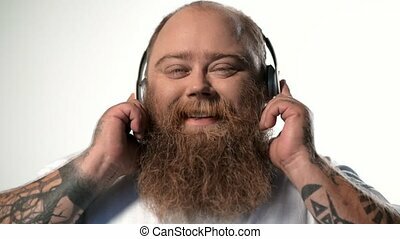 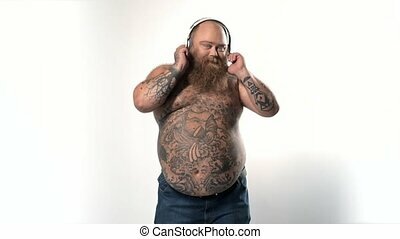 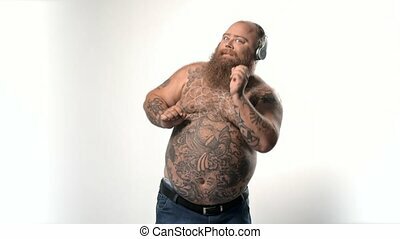 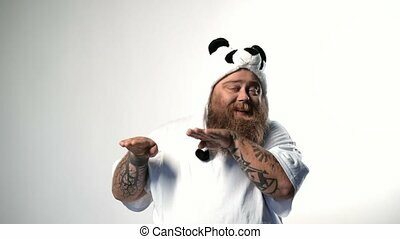 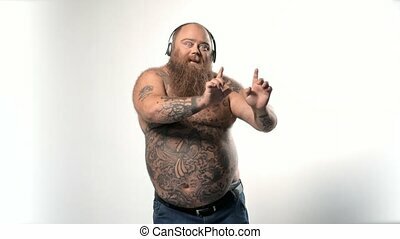 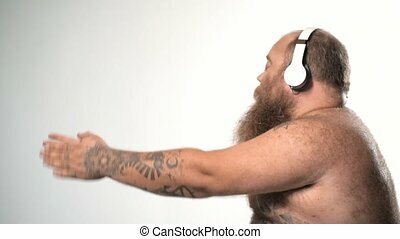 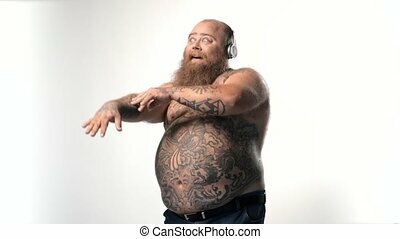 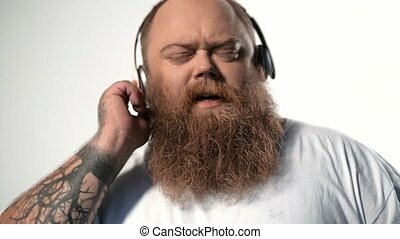 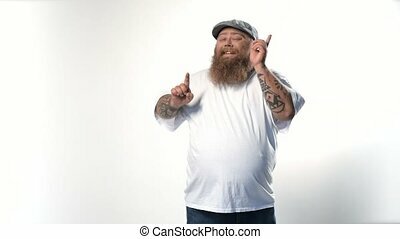 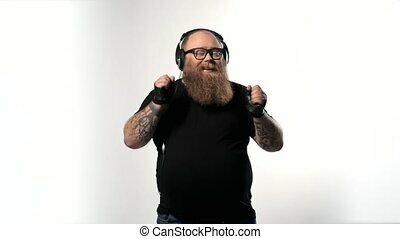 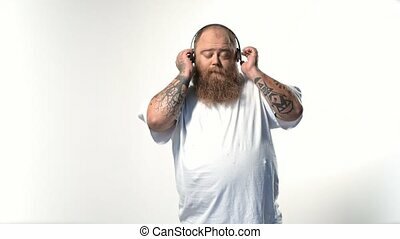 Careless bearded man is dancing and gesturing while listening to music through wireless headphones in loft style bedroom. 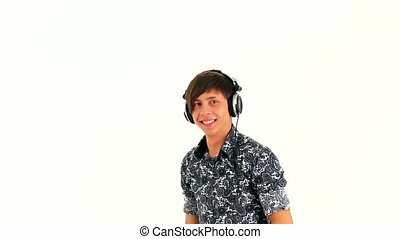 Excited guy is having fun relaxing in free time. 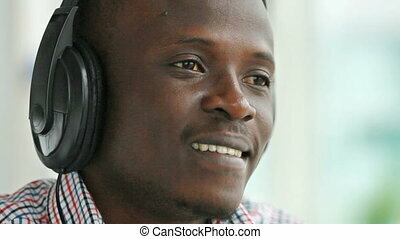 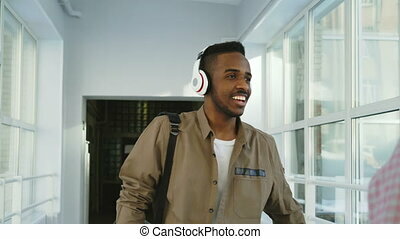 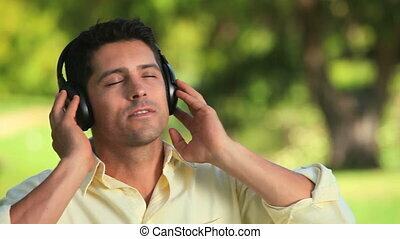 This is a side portrait of a young modern guy in headphones listening to upbeat music and moving waving hands and head. 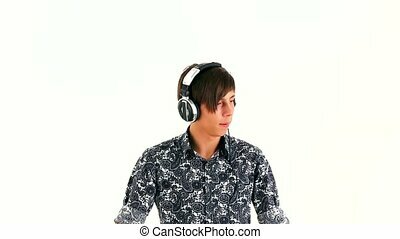 Studio shot isolated on white background. 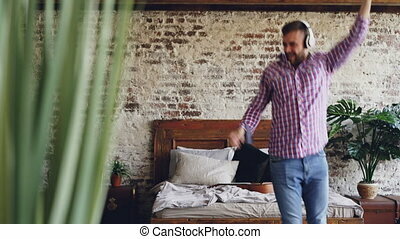 Funny bearded guy is having fun, dancing and jumping with guitar while listening to music with wireless headphones in bedroom. 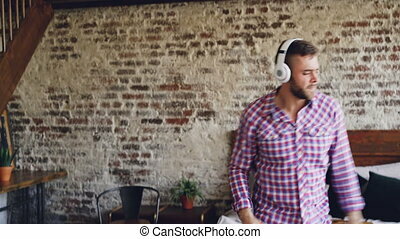 Modern lifestyle and cheerful people concept. 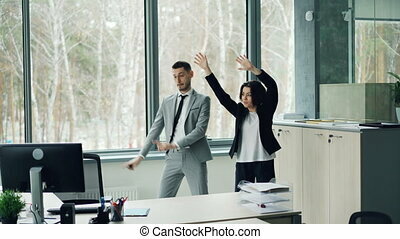 Pretty businesswoman is teaching her male coworker to dance listening to music and moving in modern office enjoying break from work. 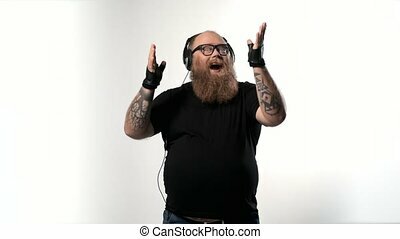 People are wearing suits. 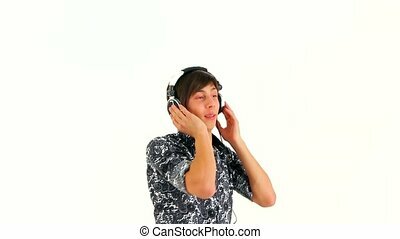 Handsome afro male student walking in wide white spacious corridor of college listening to music dancing passing by his multi-ethnic groupmates saying hello and moving on.